I have spent today working on the 1:144th Beaufighter. It has been a fiddle from start to finish. 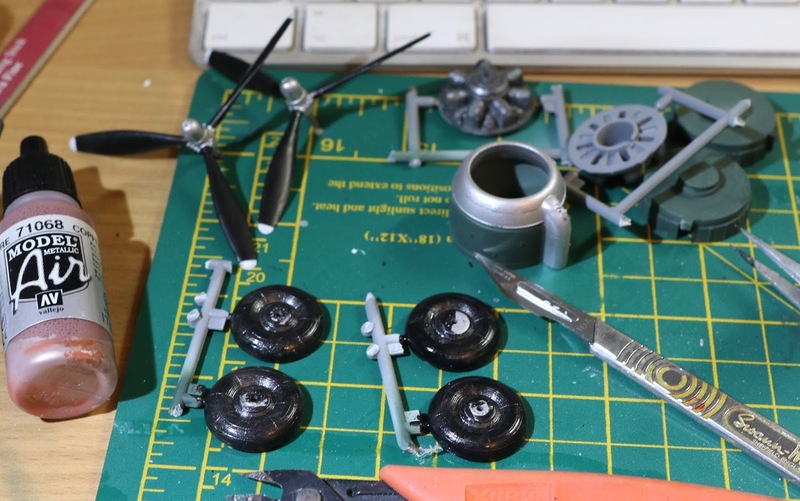 I missed putting part of the engine into the nacelles so I had to work around that by cutting things down and fiddle-faddling around. 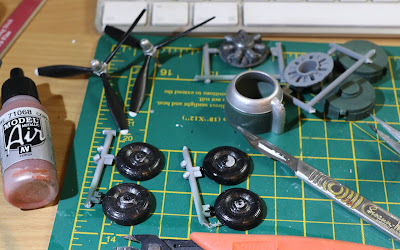 I, eventually, got the propellors on. A coat of Xtracrylix matt varnish brought everything together. I then painted the cockpit glass and fitted it. I use Gator's Grip for fitting transparent parts. This works very well - and quickly. Setting up my camera, I took at least 7 shots of the model (one at every focus point) in each pose. I then, as usual, used Helicon Focus to patch these together into a single image. I now have three nicely posed images, fully in focus. However - I will discuss this after you have seen the images. By clicking on one of the images, you can see a side show. This is when the problems come to light. Firstly, I have made a bit of a mess of the panel lines on the cockpit transparency and it doesn't sit correctly on the plane. This means, that I will have to remove it, clean it up and start again! Secondly, I originally fitted the plastic tailplanes as I thought that these would be easier to fit and glue. However, I had continuing trouble with the port tailplane until, eventually, it fell off and the carpet monster claimed it. Luckily, there was a pair of resin tailplanes in the box, which were the correct ones for this particular marking anyway so, reluctantly, I had to use them. I hate superglue! Anyway, I got them fixed but now, under the glare of the lights and the enlargement, I can see that the port one isn't finished off at all nicely. This will have to be worked on carefully as I don't want to take the tailplane off AGAIN! Let us deal with the book first. I was going for some sort of presentation of the life of the Banff Strike Wing but what I got was almost a rewrite of the group battle diaries with a few personal remembrances thrown in. Each chapter is a litany of descriptions of sorties, their actions and results. Because the narrative is very dry, no personalities come out and, eventually, I find myself skipping over further details descriptions of attacks. The book has a very nice selection of images but only one map - which appears to be a railway map of north east Scotland. Given the unfamiliarity of the Norwegian coastline (although I have been to Norway, I only went to Oslo!) I could have done with a few maps showing the main battle areas. Chapter 16 - The major (and not so major) personalities - with their reminiscences. Postscript - What happened next - units and personnel. Now that would have made a good book! 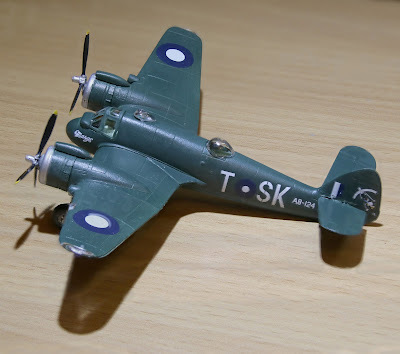 Anyway, back to the RAAF Beaufighters. I have built these alongside each other. 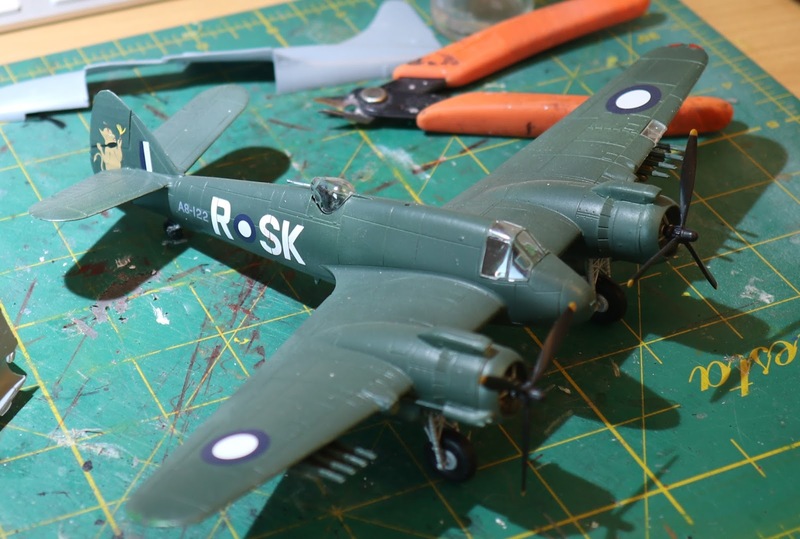 Spraying them both in Foliage green was quite an exercise, especially as I was running low on the colour. ere are a few images showing the build. I am not normally one for research as I tend to make out of the box but, because the 1:48th version came from a set of decals, I had to do a bit of investigation. There are a few little changes to the plane but, because the Tamiya box allows for other kits to be presented, the parts were all there. However, there is one big thing that I missed. If you notice, I have shown you the port side of both aircraft. There is a big difference - the 1:48th has SK-L whilst the 1:144th has T-SK. On the other side of both planes, the codes is SK - T/L so no difference. As they are part of the same squadron, one would have assumed that they would be the same. 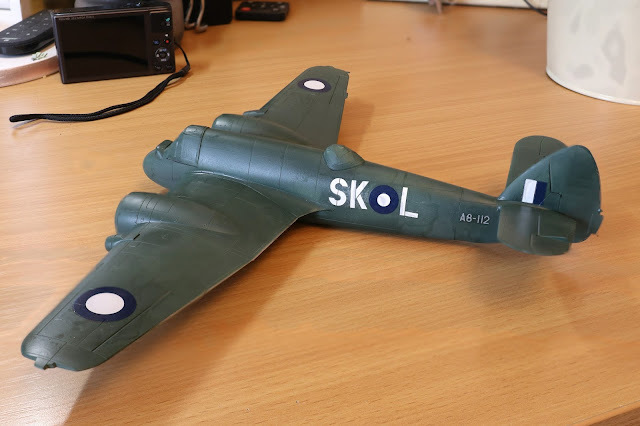 Having tracked down photos of planes at both locations (Morotai for the 1:48th and Labuan for the 1:144th) I think that the Xtradecal set is wrong and it should be L-SK. However, I decalled the big one first and only saw the discrepancy when decalling the little one. Too late by then as I had put Microsol on the decals so they were never going to come off. Hence, that is how it must stay. Next task is to fit them both with the rest of the engines and then give them a nice coat of matt varnish before fitting all the fiddly bits. 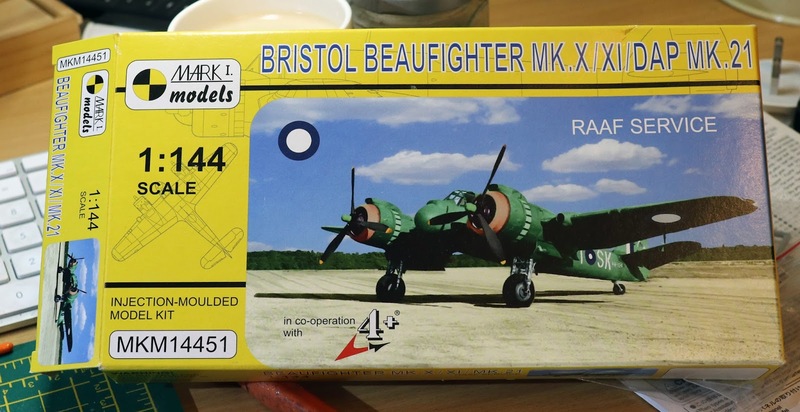 Having looked at the 1:144th undercarriage, I am not looking forward to that part! The software for the model railroad is nearly ready but I am fed up with fighting it every day. Some time ago, I made an Airfix 1:72 Beaufighter and did it up in RAAF (Royal Australian Air Force) colours as a gesture to my e-mail friend (and ex-SBX customer), Mark, in sunny Sydney. 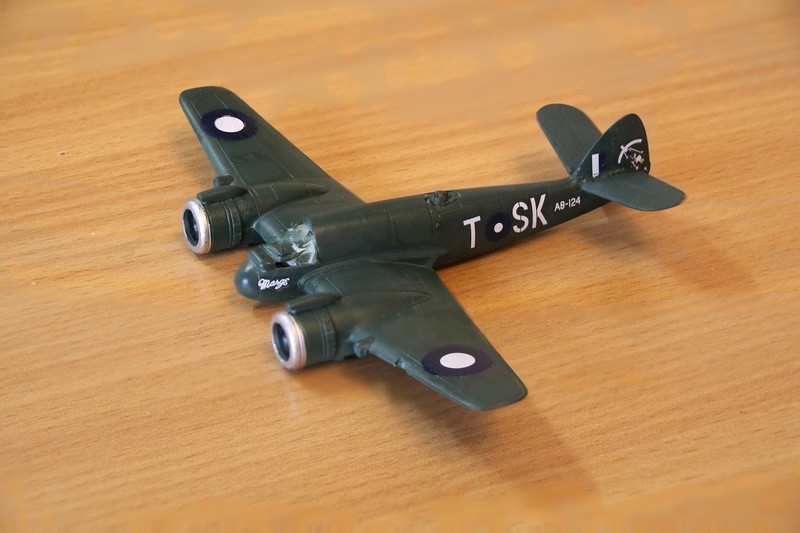 A few weeks ago, I bought the Mark 1 1:144th scale version that is in RAAF colours out of the box. 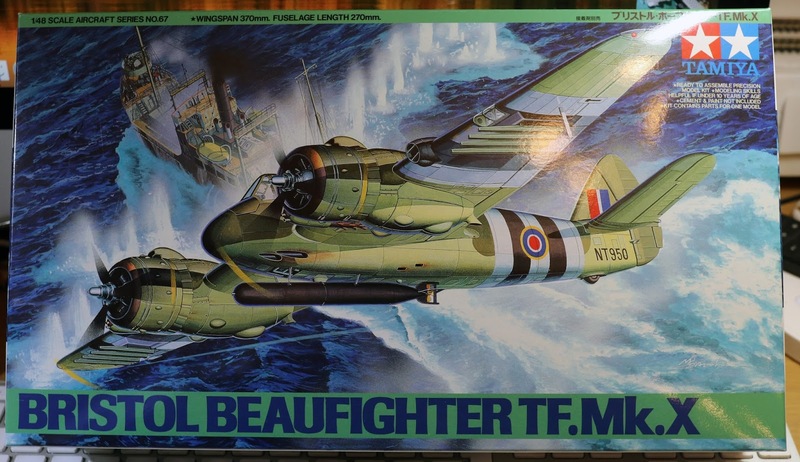 On asking what I want for Christmas, I suggested to my wife that she gets the Tamiya 1:48th version and then I would have the set! That duly arrived on Christmas Day so I promptly ordered some RAAF decals for it. I think that all three, in ascending order, all in foliage green, would like rather good. Anyway, I have started the build and, because they are both going to be built the same, I will make the two of them together. Should be great fun. Here is the first step - putting the cockpits together. Not much difference in size, is there? 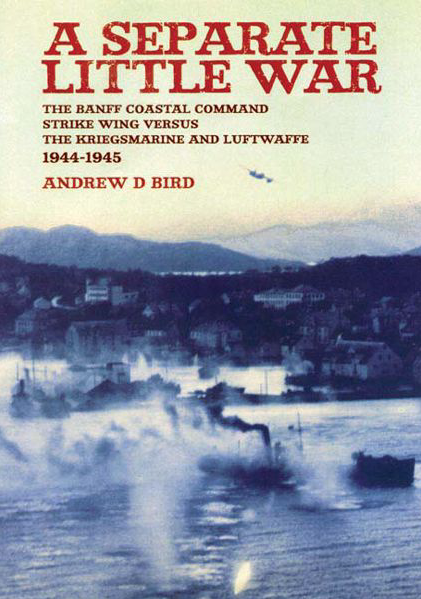 Along with this interest, I have been made aware of the Banff Strike Wing during the latter stages of WWII. This wing was created to attack Nazi shipping bringing iron ore down from Northern Sweden along the Norwegian coast. This, very necessary, traffic had to be stopped to put the pinch on Nazi weapons manufacture. 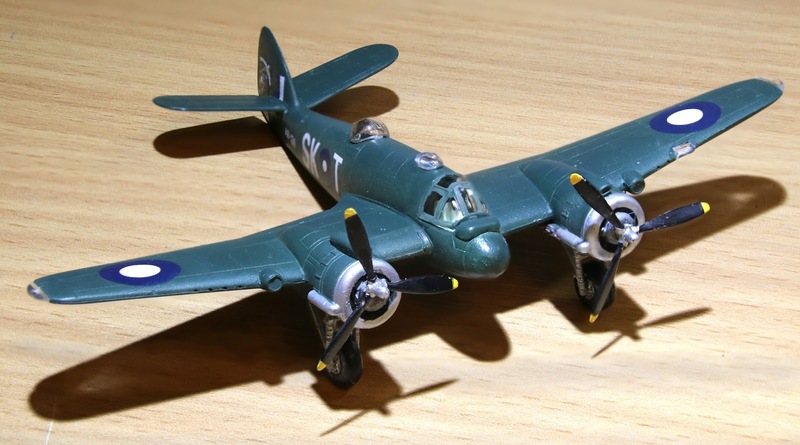 The Strike Wing was comprised of Beaufighters and Mosquitos. They had the long haul across the North Sea to the Norwegian coast and then a frantic, dangerous, two minutes of action - guns, rockets and torpedoes - none of which could be used at any real height. 216 brave souls lost their lives carrying out this task (a similar rate to that of Bomber Command). 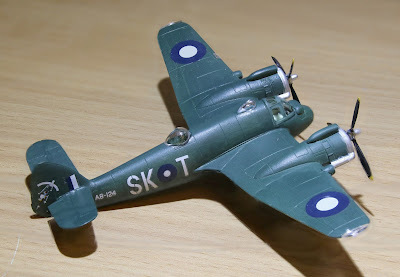 As a result of this, I have now purchased another 1:72 Beaufighter and a Mosquito Mk. VI along with the required decals to recreate my little tribute to those brave men. 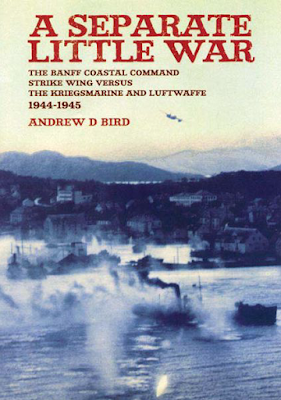 Additionally, I have bought "A Separate Little War: The Banff Coastal Command StrikeWing versus the Kriegsmairine and the Luftwaffe 1944-1945" by Andrew D. Bird so that I can immerse myself further into the history. Unfortunately,a separate book of photos is out of print.